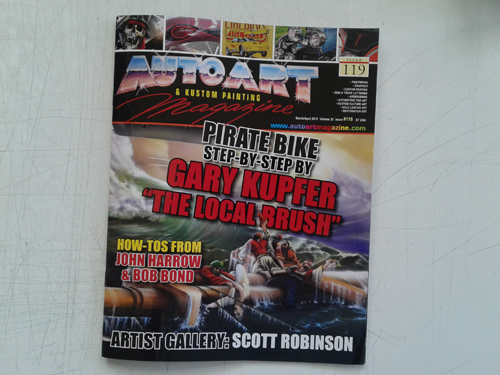 My work has been featured in the March/April 2019 issue of AutoArt & Kustom Painting Magazine. 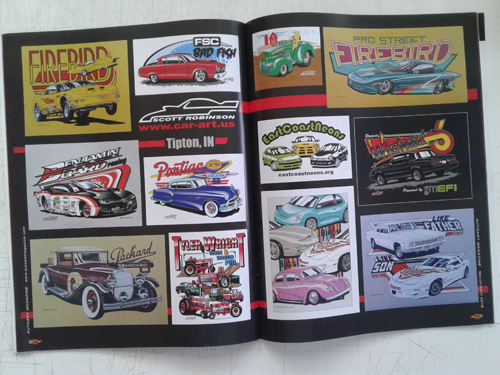 My two-page spread is on pages 20 & 21 of the magazine. It is so neat seeing my name boldly printed across the bottom of the cover along with a thumbnail of my Al Corda Firebird Illustration at the top. I was able to create and submit my own page layout, which looks spot-on to what I designed in the actual magazine. Being that was my first time of doing a page layout for a magazine, I was pleasantly surprised to see it used without alteration. I expected something to need changing for my layout to work. I submitted it to the magazine in February of 2019, and was shocked to see it make it to publication so quickly. I know magazines tend to run several months out on setup.